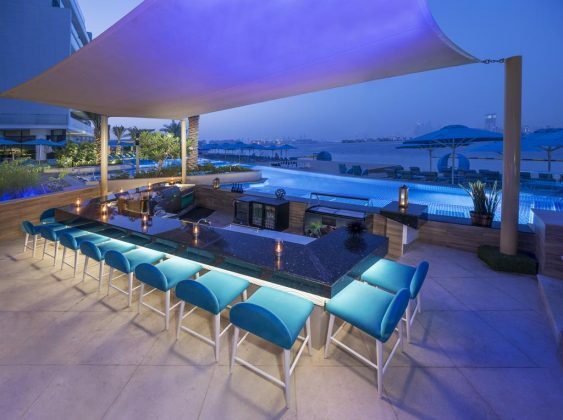 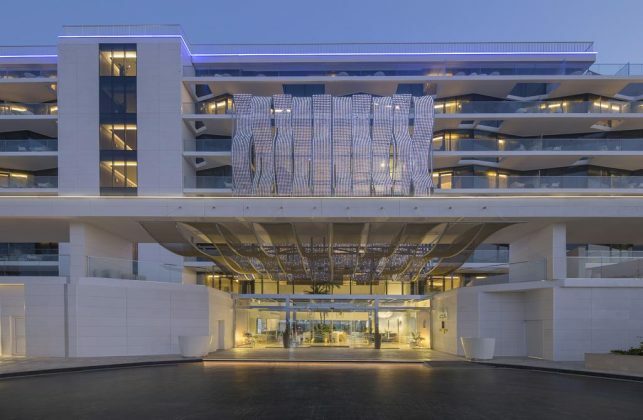 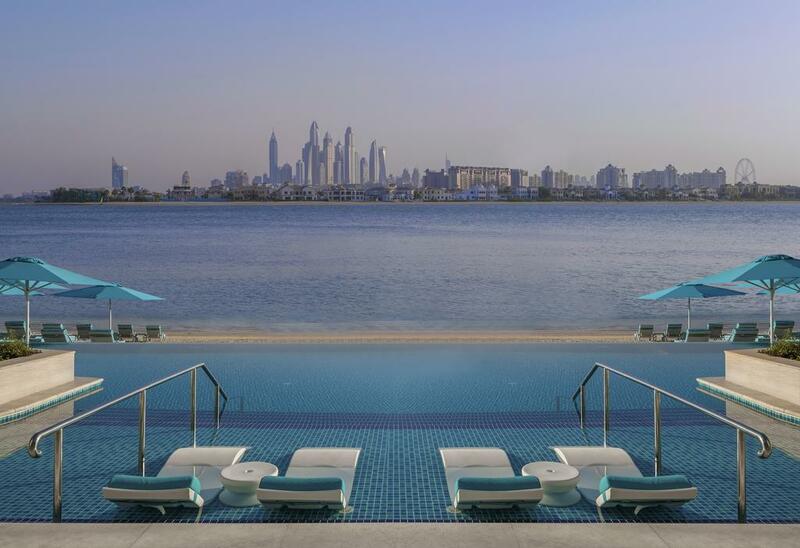 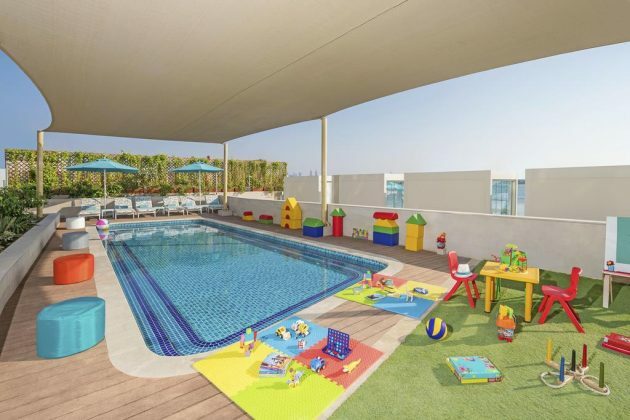 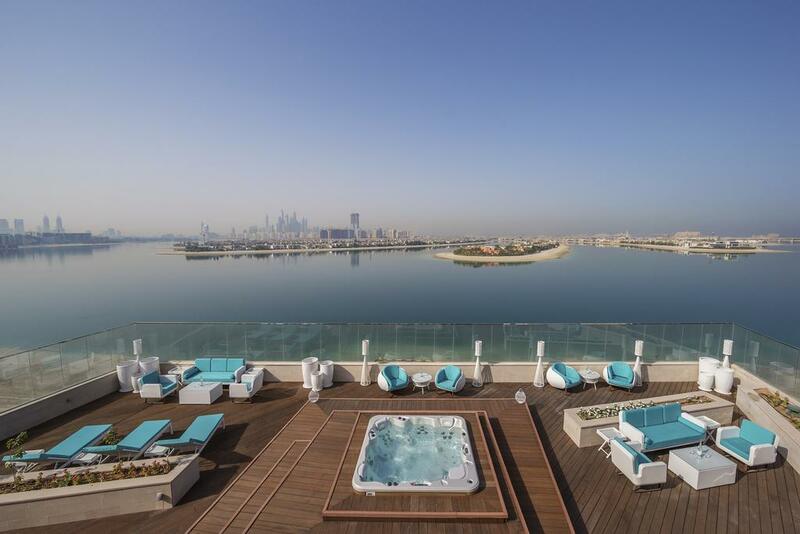 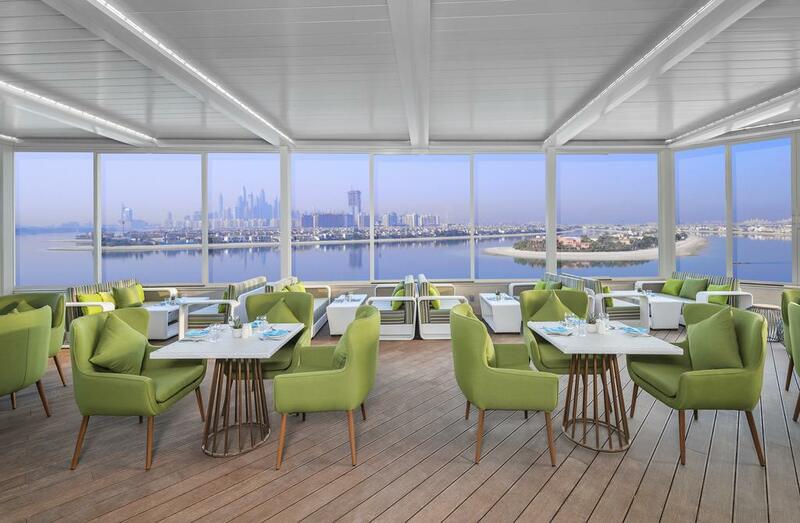 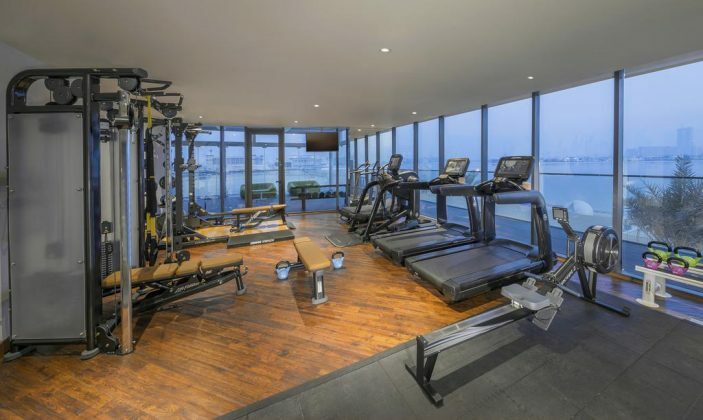 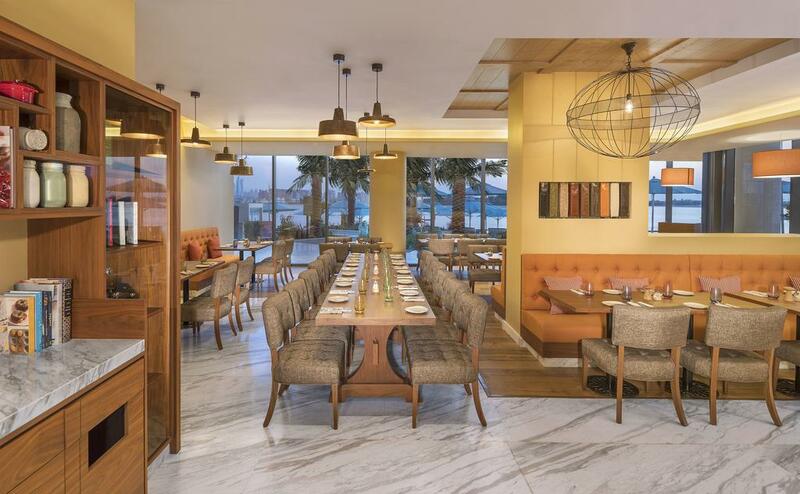 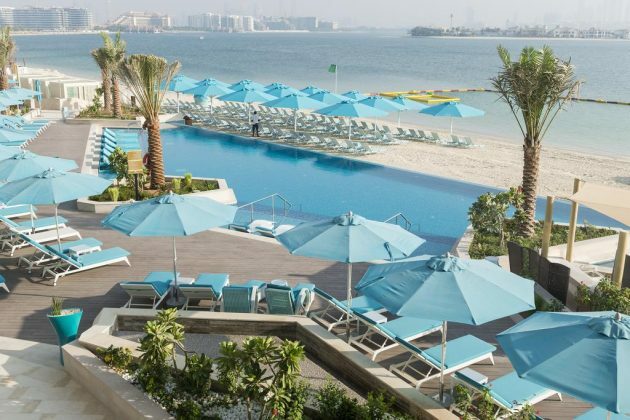 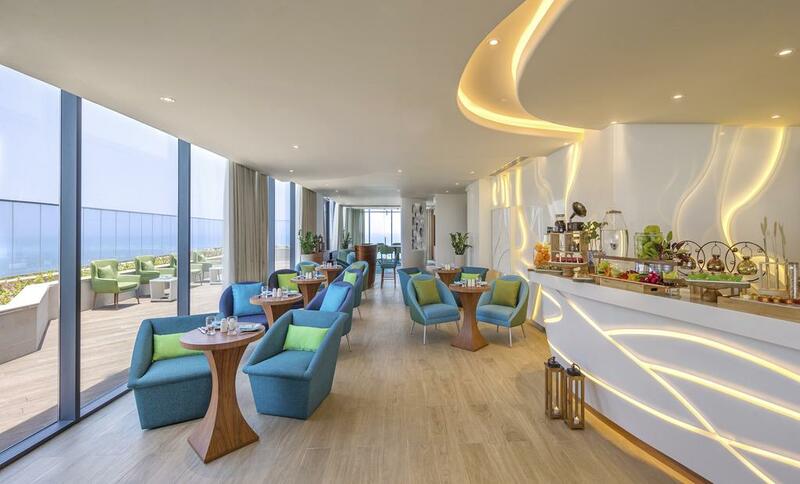 Located on the beach The Retreat Palm Dubai MGallery by Sofitel is the first wellness resort in the UAE offering an immersive, enchanting experience that inspires lifelong memories.The resort is a peaceful sanctuary tucked away on the shores of the Eastern Crescent of Palm Jumeirah. The resort’s philosophy of wellness and personal transformation of body, mind and soul runs throughout the hotel, with, at its heart, the first ever Rayya Wellness Center. 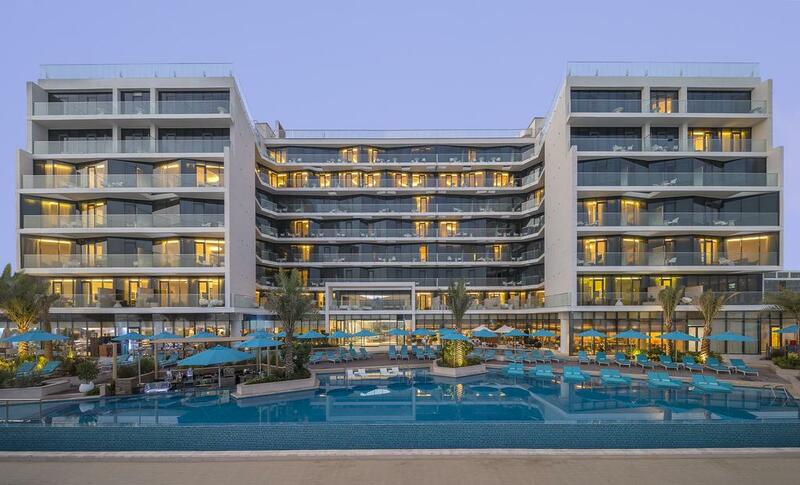 The resort has a mix of 255 spacious rooms and suites. 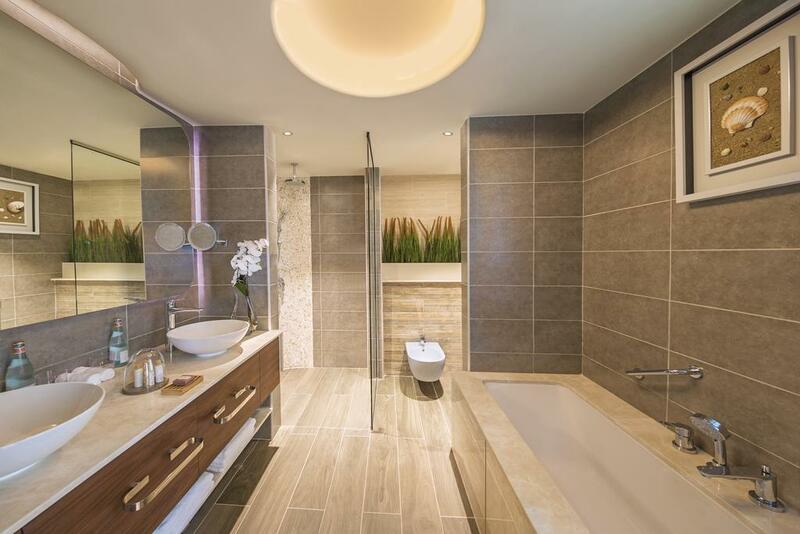 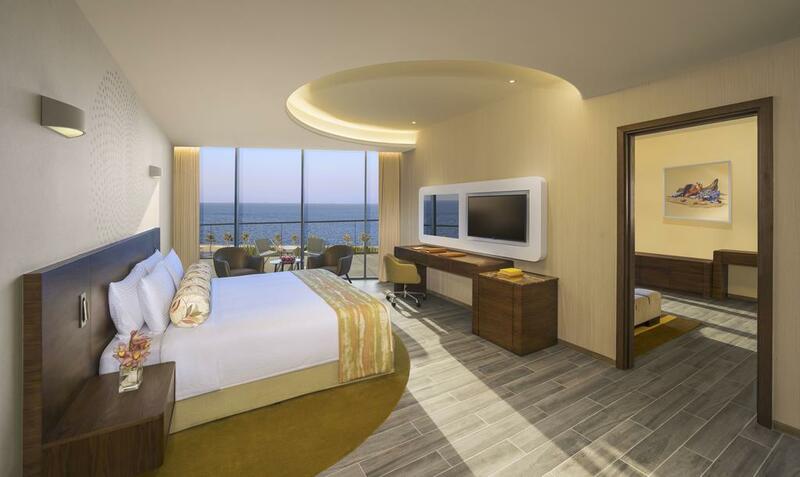 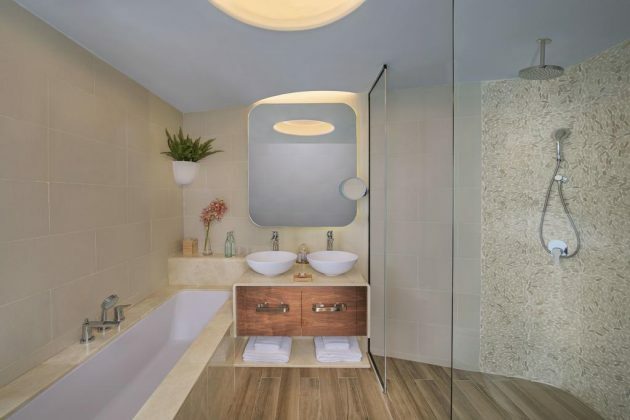 With a variety of carefully selected elements designed to enhance serenity and comfort, such as natural wood and stone finishes, every room and suite features stunning panoramic views across the azure waters of the Arabian Gulf to the Burj Al Arab and Palm Jumeirah. 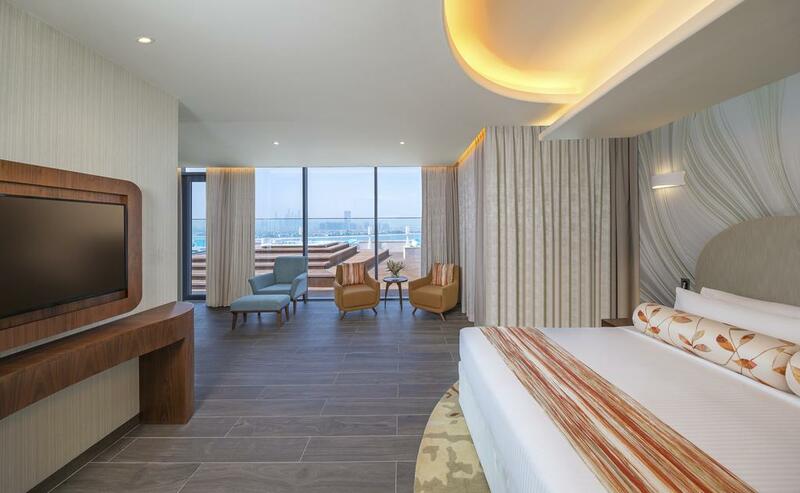 Every room at this hotel is air conditioned and features a flat-screen TV, with complimentary tea and Coffee making facilities, Mini-bar stocked with healthy products, Organic bathroom products, Motion activated guiding night lights and Bluetooth enabled multi-screen TV’s. 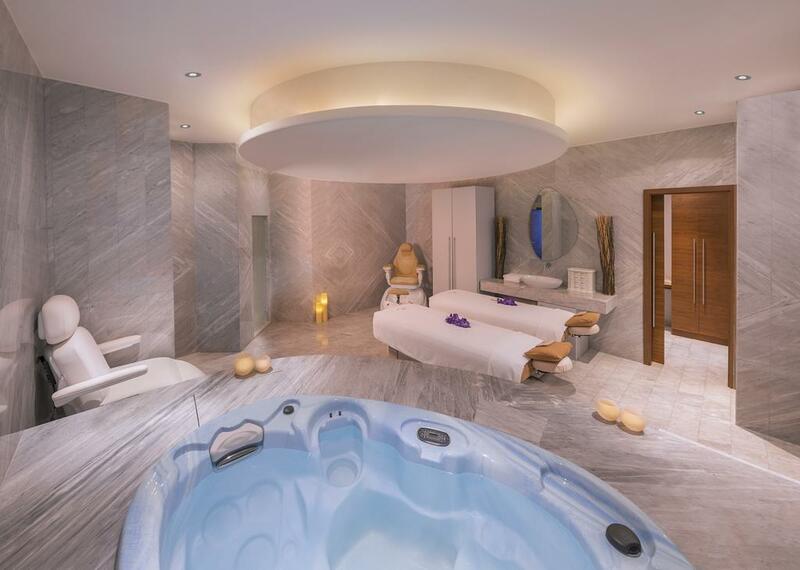 The Rayya Wellness Center is inspired by a holistic wellness concept and offers the most organic, yet decadent relaxation and rejuvenation experiences imaginable.The Rayya Wellness Center provides 360 degree wellness solutions designed to help guests achieve personal transformation of body, mind and soul, through a variety of treatments and retreat packages.It features of lifestyle consultants which includes life coaches,NLP coaches along with health and nutrition coaches to provide holistic Wellness. The resort features of 4 different restaurants serving international cuisines and healthy meals and freshly prepared with Live cooking stations,BBQ stations.The Social Kitchen serves middle Eastern cuisine specializing in the healthy art of slow cooking.Pool Bar and Cabanas serve freshly squeezed juices with healthy mocktails and smoothies. Dubai Marina is a 10-minute drive,Burj Khalifa and the Dubai Mall are 20 minutes away by car. 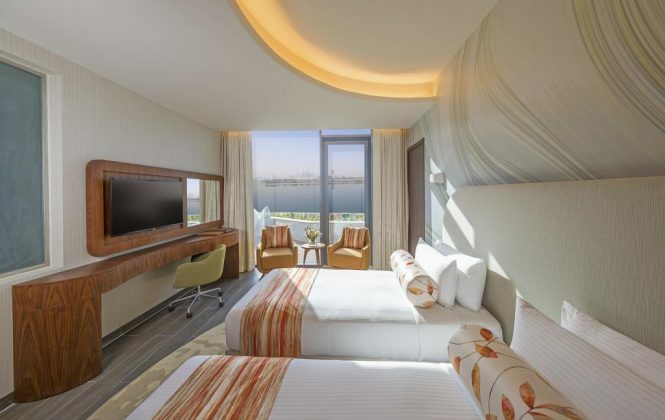 The nearest airport is Dubai International Airport, 16 mi from The Retreat Palm Dubai MGallery By Sofitel. The hotel provides complimentary daily shuttle bus to Mall of the Emirates at designated time.